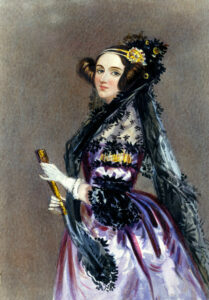 Today is Ada Lovelace Day (ALD). ALD was launched in 2009 by Suw Charman-Anderson as a response to the lack of women on stage at tech conferences. She realised however that the issue wasn’t so much the lack of women in the industry, but their invisibility. One of the aims of ALD is to increase the profile of women in Science, Technology, Engineering and Maths (STEM) roles and as an agency with a predominantly female team we want to do as much as we can to help this. 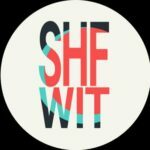 I’m a regular attendee of the recently launched Sheffield Women in Tech events. There have been two main events so far, the first was a discovery session, asking attendees what the organisation could be and the second being a collation of the first session. The events are popular and well attended, and there seems to be a real demand for something to happen in the city and I’m looking forward to being involved. This month, I’ll also become an assistant instructor at Code First: Girls running at Sheffield Hallam University – where I studied computing. The beginners course is an 8 week programme running at both universities for students to learn how to code. The course is aimed at people without coding experience to teach them the skills to create a website. Ada Lovelace (born Augusta Ada Byron) (1815 – 1852) was unusually for her time, educated in science and maths after her mother feared Ada would inherit her fathers insanity. When Lovelace was 12, she decided she wanted to design a flying machine. She studied birds which helped her understand flying, she wrote and illustrated a book; Flyology and her drawings predated by 15 years the first aerial steam carriage which was patented by John Henson and John Stringfellow in 1842. Lovelace is described as a ‘sickly child’ having suffered many illnesses during childhood. At the age of 13 she caught measles and was left paralysed for year. Her maths tutor Augustus De Morgan is credited with saying “the very great tension of mind which they require is beyond the strength of a woman’s physical power of application.” ? Lovelace was introduced to fellow mathematician Charles Babbage in 1833 by another of her tutors, Mary Sommerville. Babbage was a mechanical engineer and inventor who is credited with inventing the first mechanical computer. The pair hit it off and became good friends. Babbage worked on a mechanical adding machine, the Difference Engine. The machine was made to compute values of polynomial functions. Babbage received financial backing from the British Government for 10 years but the machine was was never completed. His next project was more complex; the Analytical Engine. This is when Lovelace became involved. When Babbage gave a seminar about the Analytical Engine, there was an Italian Engineer in attendance, Luigi Menabrea. Menabrea’s notes were published after the event and Babbage asked Lovelace to translate them to English. As Lovelace had an in depth understanding of the Analytical Engine, alongside translating the notes, she corrected mistakes. Babbage then asked Lovelace to expand the notes, which she did, tripling their size. While expanding the notes, she added a method for calculating a sequence of Bernoulli numbers with the engine. 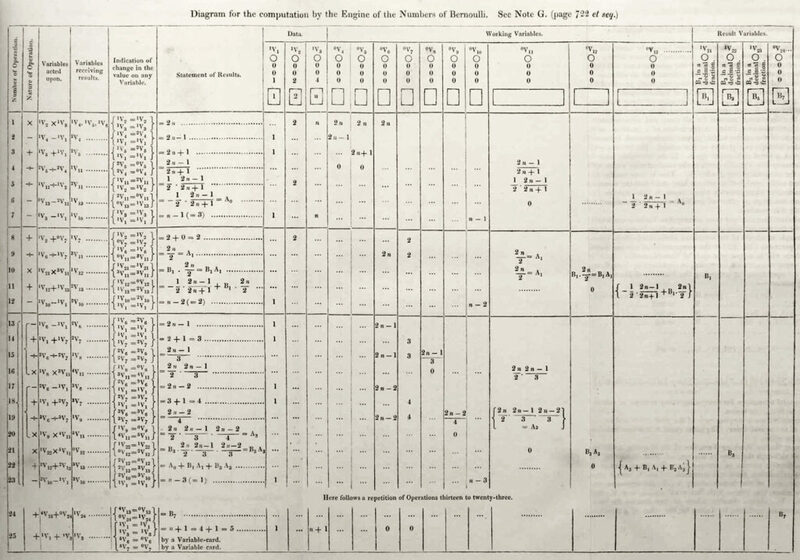 This was the first algorithm published which was designed to be implemented on a computer. Although the engine was never built, and therefore her algorithm was never tested, she has been credited with being the first computer programmer. Over 100 years after her death, Alan Turing discovered Lovelace’s translated notes about the Analytical Engine. In his paper ‘Computing Machinery and Intelligence‘. In 2009 ALD was launched with nearly 2000 people signing up to blog about a woman in technology whom they admired. Over the next few weeks, each member of our team will be writing a blog post about a woman who had a dramatic impact on the technology industry.